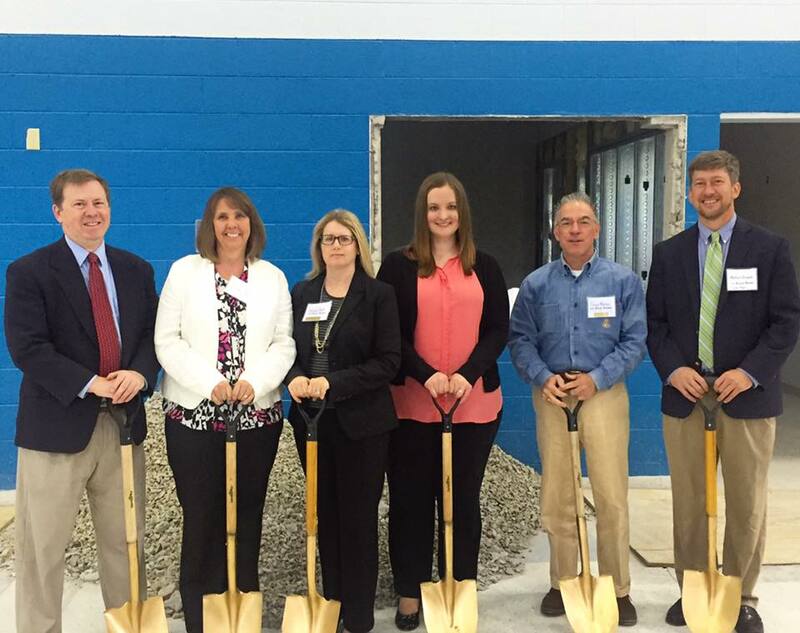 ROANOKE (WSLS 10) – From 3,600 to 10 and finally down to one. After more than 31,000 votes were cast, Blue Ridge Autism and Achievement Center won $10,000 from Freedom First Credit Union and WSLS 10. The center, which helps children and families affected by autism and other learning challenges, claimed more than 37 percent of the votes among the 10 non-profits randomly selected from the initial nomination pool. 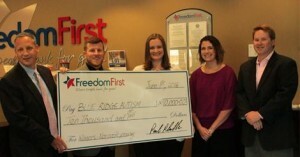 The group said the donation will allow them to continue to serve the community. She said the money will help the organization continue to serve local families and expand services. June 1, 2016 – Sport Clips, on Wards Road in Lynchbug, hosted a month long fundraiser for Autism Awareness Month in April 2016. 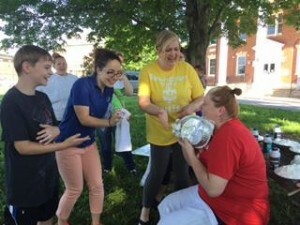 They visited BRAAC Lynchburg to deliver the check that totaled $2,485.60 on June 1st and all they wanted in return was a few pies in the face! 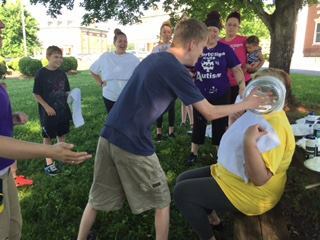 Thank you to Sport Clips, their staff and all those that donated. As part of the fundraiser they also gave free haircuts to all individuals with autism during the month of April. John Rainone, President of Dabney S. Lancaster Community College and Chair of the Quality of Life Committee, presented the People’s Choice Awards before the large crowd in attendance. 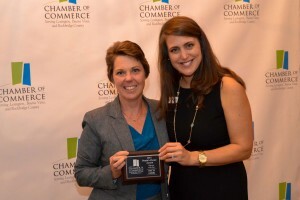 The awards honor individuals in five categories: Volunteer of the Year, Humanitarian of the Year, Educator of the Year, Employer of the Year, and Citizen of the Year. 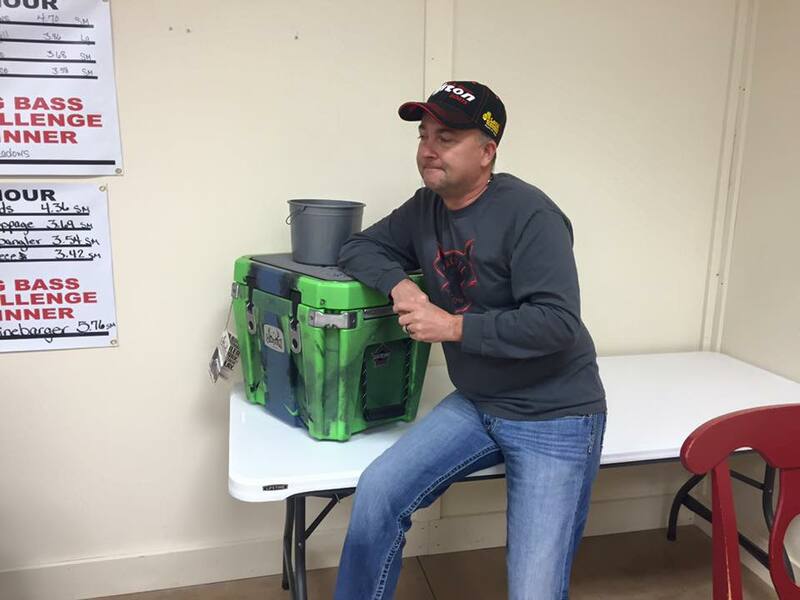 November 19th at Just Fish’n, Chris Dixon donated a sweet Orion Coolers for a raffle. The raffle raised $355, which he immediately gave to John Crews to donate to a charity – the only stipulation was that it had to be an organization connected to autism. Thank you Chris and John for the generous donation and for thinking about BRAAC and autism support for our families and children. 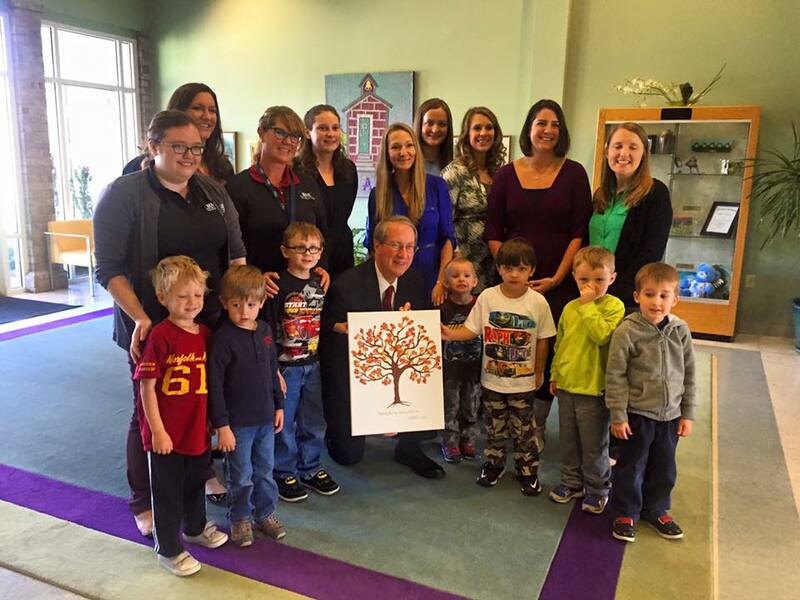 BRAAC was honored to have Congressman Goodlatte visit our school and make a personal donation on November 13th! 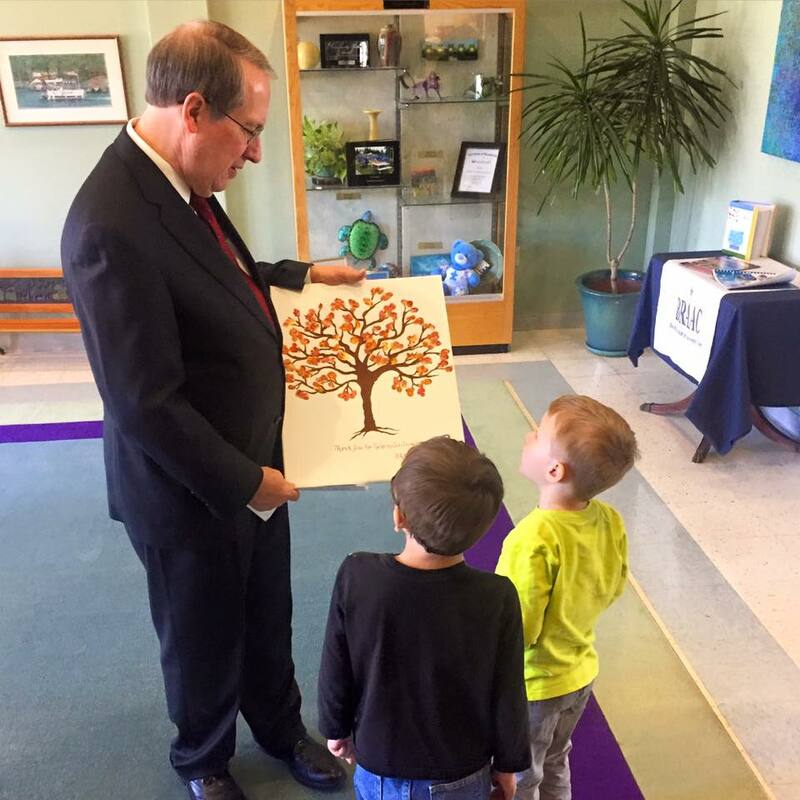 Some of our students presented him with a thank you painting that says “Thank you for helping us grow!” Thank you, Congressman! Leonard: Roanoke police show the way on special needs! Leonard is the founder and former executive director of Blue Ridge Autism and Achievement Center. She is CEO of St. Vincent’s Home, and Autism Speaks’ state advocacy chair for adult services. 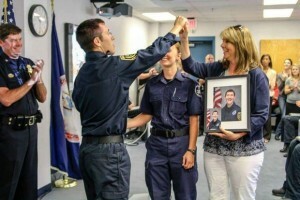 Her son, Joshua, 19, was the first GTO Cadet. CONGRATULATIONS TO OUR NEWLY CREDENTIALED STAFF! 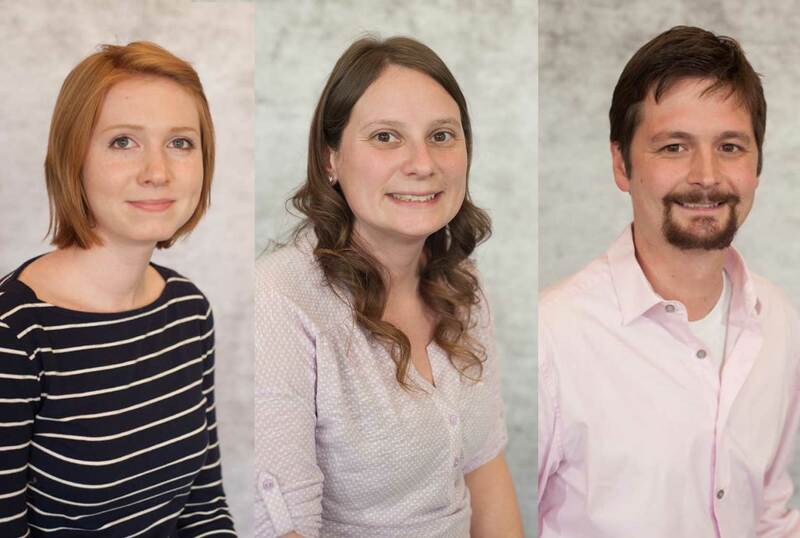 We are proud to have such a wonderful BRAAC team! Amy is now a Board Certified Behavior Analyst and licensed in Virginia (left). Stacey is a newly licensed Special Education Teacher (center). David is now a Board Certified Assistant Behavior Analyst (right). 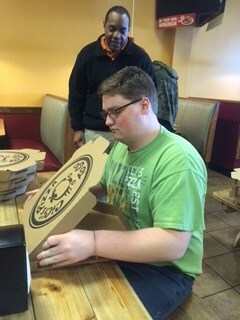 ROANOKE (WSLS 10) – You may be seeing a lot more blue as people are celebrating Autism awareness month. The organization says Autism can be reliably diagnosed by the age of two and early intervention can change brain development and activity. BRAAC EXCITED TO ANNOUNCE FIRST REGISTERED BEVAVIOR TECHNICIAN! 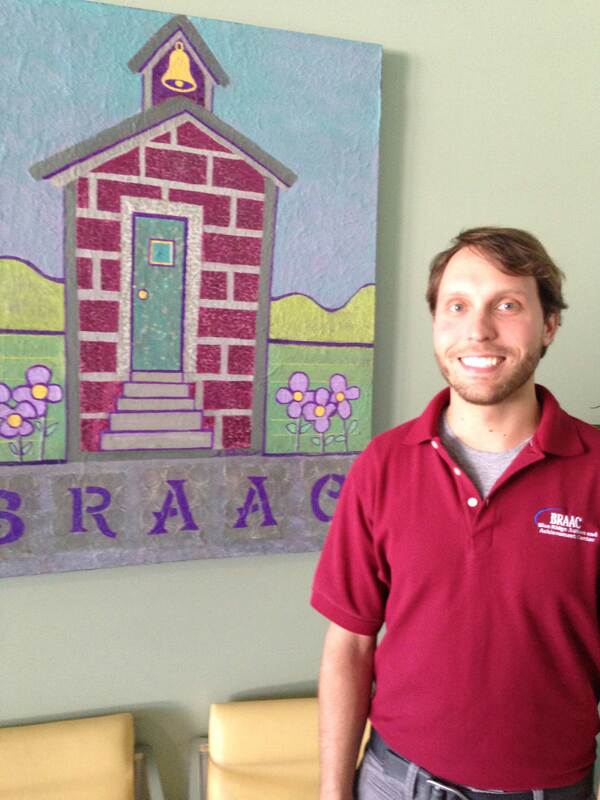 March 30, 2015, Roanoke, VA – BRAAC is pleased to announce that Kyle Harding, a Lead Behavior Technician with BRAAC since 2013, is now our first Registered Behavior Technician! 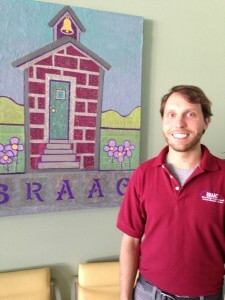 BRAAC has been fortunate to have had Kyle employed with us as a Behavior Technician since 2008, one year before he graduated from Virginia Tech with a Psychology degree in 2009. With so many years at BRAAC under his belt he has worked with students of all ages in various departments. He has even traveled to the Buena Vista site to lend a helping hand when needed. Congratulations Kyle! 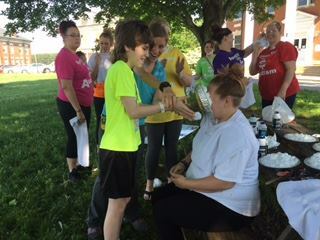 We are proud of all your hard work to become a Registered Behavior Technician! 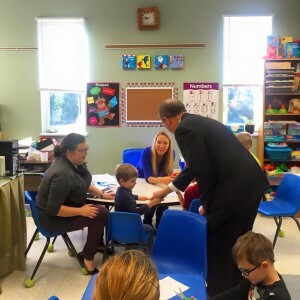 March 24, 2015, Roanoke, VA – Blue Ridge Autism and Achievement Center (BRAAC), a non-profit, nonsectarian center that provides education and services for children and families affected by autism and unique learning challenges, today announced a series of special events that will be the focus of its efforts during National Autism Awareness Month in April. BRAAC WELCOMES NEW EXECUTIVE DIRECTOR! February 2, 2015, Roanoke, VA – Blue Ridge Autism and Achievement Center’s Board of Directors is excited to announce and welcome Christina Giuliano as the organization’s new Executive Director. Giuliano will be responsible for the administration of the center’s three schools and program development for the organization.